A spoon shaped like a monstera leaf counts as a practical purchase right? 1. 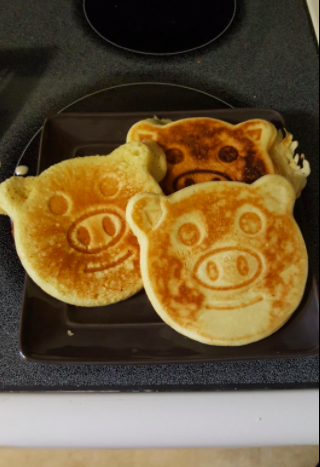 A pig-shaped pancake skillet you might want to ~hog~ all for yourself. Get it from Amazon for $7.55 (also available in three other shapes). 2. A pack of cookie sheets and emoji cookie cutters for when you want your baking skills to leave everyone speechless. It comes with three cookie sheets and four cookie cutters. Get the set from the Tasty collection at Walmart for $9.97. 3. A monstera lea-shaped slotted spoon to encourage you to add some more leafy greens to your soup. Get it from Animi Causa for $16.99. 4. A carrot whisk so you can do your best Bugs Bunny impression while baking. 5. Squirrel rice paddles you'll go ~nuts~ for. Get a pack of three from Amazon for $6.95. 6. A set of unicorn measuring cups with horns that double as pouring spouts. Get a set of four from Amazon for $19.99 or Modcloth for $15. 7. A tea towel reminding you to stay cool-headed, even when the guests arrive an hour early and nothing is ready yet. Get it from TheNeighborgoods on Etsy for $18. 8. A pair of hot oven mitts that will hopefully be the only flames in your kitchen. Get them from Animi Causa for $23.99. 9. A kitchen witch that rides your spoon so you'll always have a place for your utensils when you need to walk away from your bubbling cauldron. 10. A flower-shaped can opener that's really opening up some new kitchen design ideas. Get it from Amazon for $15.01. 11. Or some floral kitchen tools and a crock so you can always have a bouquet waiting for you in the kitchen. Get the six-piece set from Amazon for $19.89 or Walmart for $28.60. 12. Colorful storage jars with cork lids because your snacks deserve a home as nice as they taste. Get a set of three from Amazon for $30+ (also available in smaller sizes for $21+) or Amara for $43 (available in two color schemes). 13. A set of food dice for those days when you're willing to leave dinner up to chance. The primary five dice have protein options, cooking methods, grains/carbs choices, herbs, and bonus ingredients. The other four cubes have vegetable suggestions. Roll some dice the next time you're stumped and get one of 186,000 possible combinations! Get a pack of nine dice from Uncommon Goods for $24. 14. A Totoro apron so you'll always have a sous chef nearby. 15. An avocado spoon rest to make everyone green with envy when they see it. 16. A patterned slow cooker that's so pretty, you'll want to watch it work all day. Get it from Walmart for $24.96 (available in four patterns). 17. Mouse card holders to make your Cracker Barrel cheese board look way fancier. Get it from Anthropologie for $8. 18. A set of rainbow knives that will be a hue-ge improvement over your other cutlery. Get a set of 12 from Amazon for $12.99 or Macy's for $29.99. 19. Leafy green measuring cups to make every recipe feel like a refreshing, tropical dish. Get a set of four from World Market for $7.79. 20. A sweet egg pan so you can make eggs for someone you heart. Get it in red from Amazon for $18.99 (also available in a six-inch pan for $3.99). 21. A ceramic pie plate for making pies that rival the ones from Double R Diner. 22. 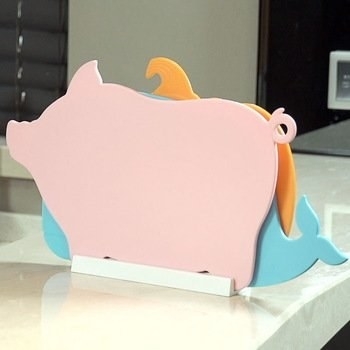 A bear-y adorable trivet to protect your table from hot pots. 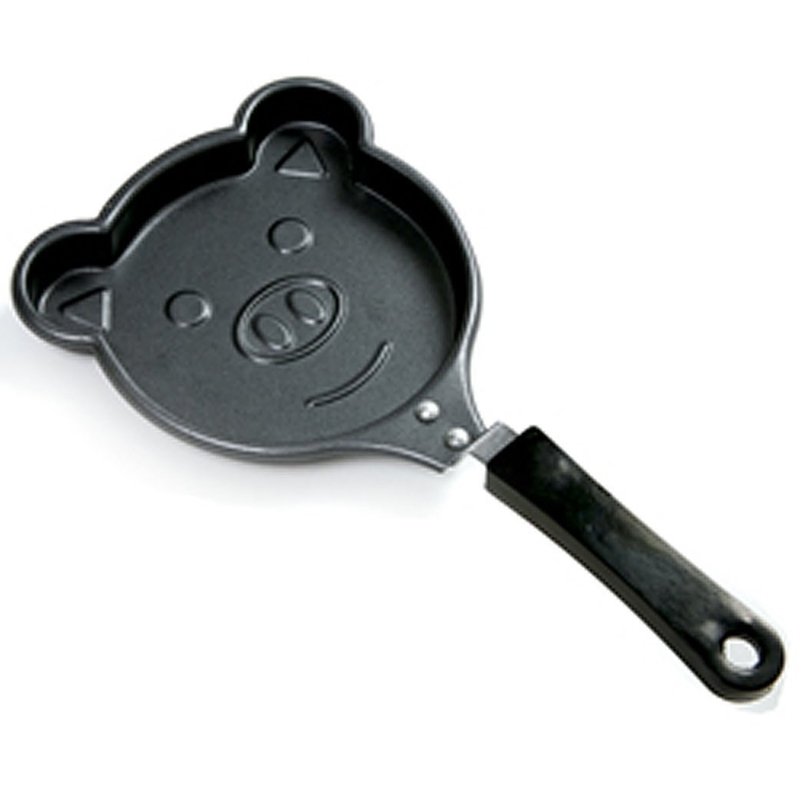 No bears were injured in the making of this silicone kitchen tool. Get a brown one from Amazon for $14.90. 23. 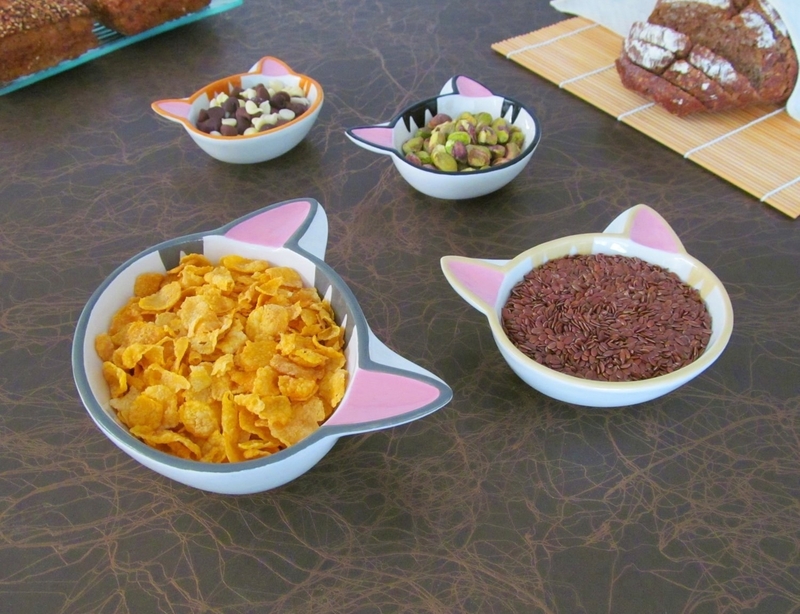 A set of cat serving bowls so you can lay out the purrfect spread for your guests. Get a set of four from Amazon for $14.95. 24. A 19-piece kitchen set featuring spatulas, measuring cups and spoons, strainers, tongs, a whisk — and an emoji timer! Get the set from the Tasty collection at Walmart for $39.76. 25. A piano cheese board with a place for utensils under the hood. The bamboo cheese board comes with two stainless steel cheese knives and a corkscrew. Get it from World Market for $55.95. 26. A set of cheerful food storage containers to actually get you excited about leftovers. They're made with bamboo fiber and have flexible plastic lids. Get a set of three from Modcloth for $22. 27. Cat coasters that will really come in handy when you finally invest in a new coffee table after your cat scratched up the last one. Get a pack of six from Amazon for $10.79. 28. A copper compost bin to get even Oscar the Grouch excited about eco-friendly waste management. Get it from World Market for $39.99. 29. An egg cooker that doubles as decor. Never overcook an egg again and impress all your guests with your egg-cellent taste. See BuzzFeed's full review of the Dash egg cooker. 30. A set of agate cheese knives for a platter that really rocks. Get a set of four from Amara for $36. 31. 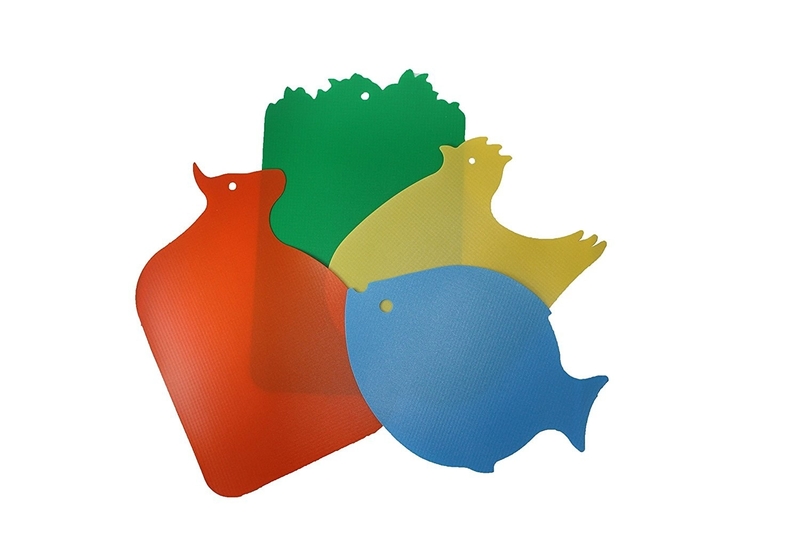 Specially shaped cutting boards so you don't have to risk cross-contamination. Get the pack of three on the left for $25.99 or a pack of four on the right for $8.34 from Amazon. 32. 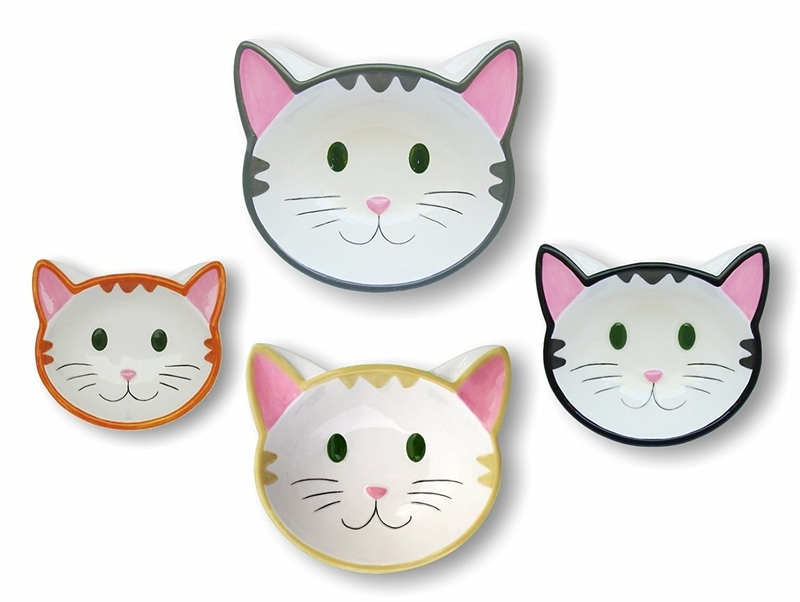 A cat-shaped peeler to get you ~feline~ great about cooking every night. 33. A whimsical cookbook holder so you can properly see the next step without covering your recipe book in flour. Get it from Walmart for $21.84. 34. A set of spice shakers that turns your salt into snow and your chili flakes into autumn leaves. They're like snow globes with edible snow! Get it from Apollo Box for $25 (available in seasons or animals). 35. A garlic baker because anyone who has tried fresh roasted garlic has never looked back. 36. A pasta measurer so you never end up cooking the wrong portion of spaghetti again. 37. A sassy oven mitt you can really relate to when it's your turn to cook. Get it from Amazon for $11.99 (available in five designs) or Firebox for $18.49 (available in two designs). 38. And an elaborate, tiered crane serving tray because if you're cooking, it better be displayed in the most extra way possible. Get it from Anthropologie for $328. Beware: With this stuff, everyone is going to wanna watch you cook.